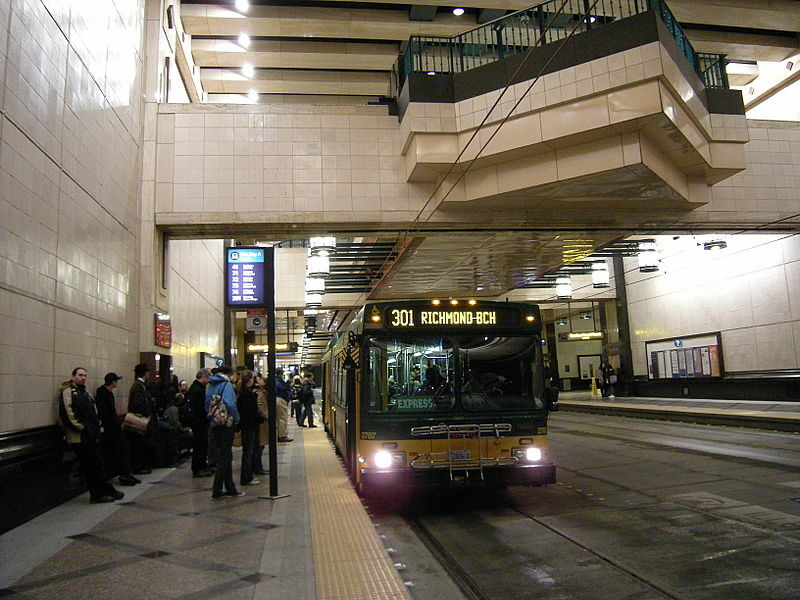 Just a couple of weeks ago, voters in Seattle and its surrounding counties rejected a funding measure to prevent dramatic cuts to local transit service. The plan is very similar to the original countywide Proposition 1, which proposes to use a $60 flat car tab fee and 0.1% sales tax increase (the image above incorrectly notes 0.01%). Under the proposal, the car tab fee and sales tax will raise $45M per year to reverse most service cuts in the city*, create a fund to cost-share cross-jurisdictional routes with neighboring cities (called the Regional Partnership Fund), and subsidize car tab fees for low-income drivers. The car tab fee would raise approximately $24M per year while the sales tax would raise another $21M. Low-income drivers will pay a reduced fee of $20 for their car tabs. Assuming Seattle does restore service hours to Metro, the first opportunity to do so will only be in February 2015 meaning that currently proposed cuts will still go through in the September 2014 service change (excluding the Night Owl routes). Constantine and Murray intend to continue their effort to champion a countywide option for funding Metro next year. Assuming a countywide measure is able to later rescue Metro, the proposed Seattle-only measure could be phased out in as little as 2 years. While Murray’s plan seems comprehensive, there’s still ample opportunity to improve the transit package. The City has a number of other tools in its arsenal besides the car tab fee and sales tax. Goldy over at the HorsesAss gave us two such options last week: increasing the parking tax and bringing back the head tax (assessed on employees who drive solo to work). Both options could be enacted councilmanically instead of going to the voters or the Transportation Benefit District process. Councilmembers have already stated their strong support for reversing Metro service cuts and that they are open to any and all ideas. We hope that they will evaluate all options in addition to the Mayor’s proposal. Elsewhere on the Network today: Notes from the Underground explains what is needed to give northeast Ohio a modern transit system. Austin Contrarian maps how little space in his city is zoned to allow multi-story buildings. And Denver Infill shows off the city’s new Union Station transit center. Dozens of transit projects across the nation -- as well as walking and biking projects that count on funds from the TIGER program -- are under threat. Transportation for America is urging people to contact their representatives and oppose the cuts.